Every family with young kids should watch Disney's Frozen. This movie really took me by surprise as I think it wasn't as heavily promoted as other movies like Despicable Me 2. I must say -- I love, love, LOVE the movie! It's one of those movies that gives the feel-good, warm, fuzzy, tingly feeling at the end of it. 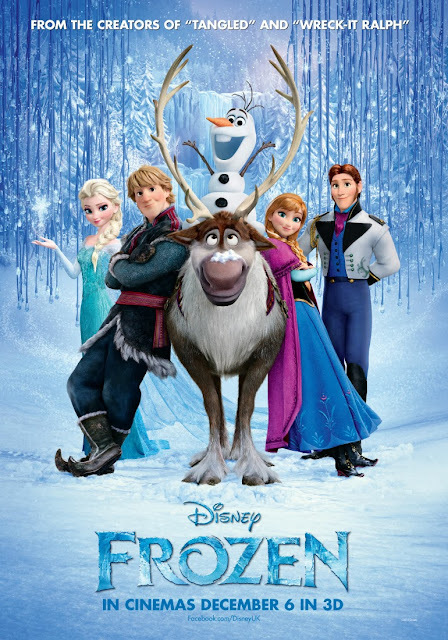 What I love most about Frozen is its beautiful soundtrack. I felt like I was watching a Broadway play. If you are one of those people who grew up in the 90's like me watching The Little Mermaid, Beauty and the Beast, and Lion King, you'd definitely appreciate this movie. Here's a full list of their soundtrack. Click here to listen to them!